Learn how exogenous ketone supplements differ from brand to brand and which one we believe to be the overall best exogenous ketone powder. The hardest part of the ketogenic diet is staying in ketosis. This problem is exactly what exogenous ketone supplements are designed to solve. Unlike other diets, staying in a state of ketosis matters far more than blunt macros and exercise performance… So, any help we can get is welcomed. Here, we’re going to teach you everything you should know about exogenous ketones. Then, we are going to share with you the 10 highest rated exogenous ketones to supplement with. Our overall goal is to make you the most savvy and informed consumer you can be. What are exogenous ketone supplements? You should know that there are 2 different types and two different vectors used in exogenous ketone supplements. First, the active ingredient can either be beta-hydroxybutyrate (BHB) or butanediol esters (AcAc). Second, BHB or AcAc can either be in a near-raw ester state or in a salt-bound state. Ketone esters are a more direct form of exogenous ketones (1). They are essentially beta-hydroxy-butyrate or butanediol monoester in well, ester form. Benefits to keto esters: Less is required, faster effect, stronger effect. Negatives to keto esters: Drastically more expensive, taste is unbearable. Ketone salts, as the name implies, is a ketone body like BHB bound to an electrolyte (2). This creates a larger compound with the following attributes. Benefits to keto salts: Significantly less expensive, tastes MUCH better, effective in powder form, provides electrolytes. Negatives to keto salts: Requires a much larger dosage, not as feel-it-now if you’re way out of ketosis, can contain too much sodium for some people. Bottom line in Ketone Ester Vs Ketone Salt Supplements: We prefer ketone salts for their palatability and affordability. It is not an exaggeration to say that ketone esters are the worst tasting creations on earth. What makes it worse, is that you pay a literal fortune for them. When to take exogenous ketone supplements? Workout booster – take your exogenous ketones about an hour before exercise. Fighting keto flu – divide doses and take throughout the day. Blasting mental fog and lethargy – Take in the morning, and smaller servings as needed through the day, while adjusting your macro intake for better energy needs. Bad meal fix – If you mess-up and eat too much carbs or protein, add exogenous ketones to prevent crashing. Summary: Exogenous ketone supplements have multiple use cases for improving the keto lifestyle. You will learn over time how to best use them as you go. Below we’ve ranked the best exogenous ketone supplements that you can get. We’ve filtered products based on overall experience, brand reputation, dosages, added ingredients, value, and brand relevance to the keto lifestyle. The end result is the most reliable products made by brands that understand you. Sports Research is one of the most popular Amazon brands, providing a wide range of single and multi-ingredient supplements. As a company, Sports Research makes supplements with wise ingredient choices and sleek labeling. However, after a very long-time doing business, they haven’t actually lived up to their name by performing any sports research whatsoever to set themselves apart from the pack. Positives for Keto+: 5 flavor options, reasonably priced, added leucine, lysine and acetyl-l-carnitine. Potential Negatives: Small BHB dose at 6 grams per serving, not a keto focused brand. 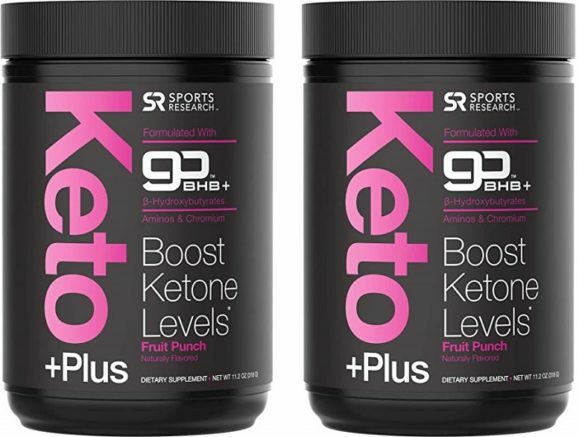 Verdict: Sports Research Keto+ Plus makes an attractive entry-level exogenous ketones BHB salt, delivering 6 grams per serving with 30 servings per container. It isn’t the peak serving, and quickly loses price advantage when taken at double-serving, however for Sports Research loyalists it’s a trusted choice. Similar to Sports Research, Zhou Nutrition isn’t exactly a keto expert. Rather, if you have followed their nutritional company growth, they are more-so niche supplement opportunists via the Amazon marketplace. Though what seperates their Keto Drive from SR Keto+ Plus, is a more relevant 11.7 g dosage of BHB salts! Positives for Keto Drive: Well dosed at 11.7 g BHB, naturally flavored and sweetened, wide availability. Potential Negatives: Only 16 servings per container, generic non-keto brand. Verdict: The Keto Drive formula is effective and moderately priced at $58.97 per 16 servings. 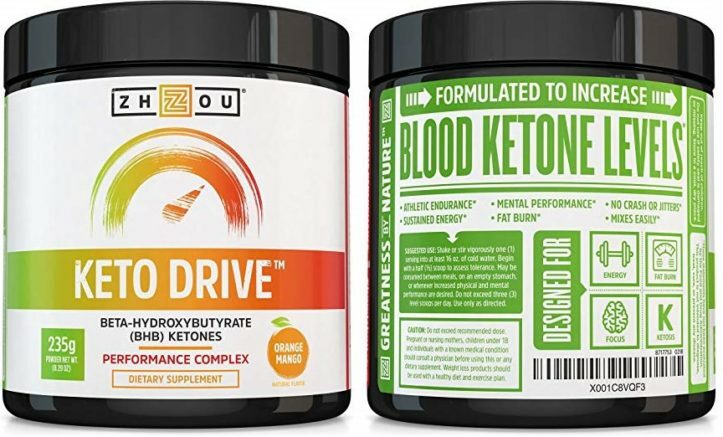 We’d love it more if Zhou Nutrition was a keto-centric brand, but, with plenty of positive reviews and user feedback we’re comfortable with this brand. Giant has entered the keto universe with MCTs, collagen protein, and you guessed it – exogenous ketones. 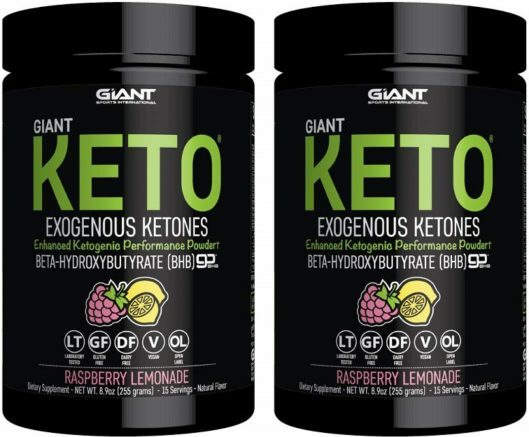 Named Giant Keto, their exogenous ketone powder contains 12 grams BHB salts per serving with 15 servings per container for $29.99. As a brand, Giant is a bit of a fad chaser. We acknowledge that Giant Keto is well dosed, but plan to stick with more authentic brands. Positives for Giant Keto: Well priced at $29.99 per 15 servings, 12 g BHB per serving. Potential Negatives: Fad-chasing brand, selenium may cause queasiness. Verdict: While comparing exogenous ketone brands, Giant Keto stands out with 12 g BHB salts per serving. The price isn’t bad, either. However, Giant isn’t a true authentic keto brand, which means if you run into roadblocks, you’re likely on your own. 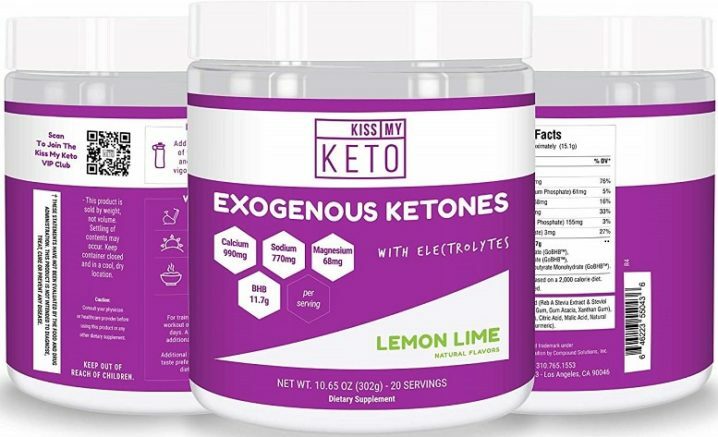 Whereas multiple brands simply make exogenous ketones, Kiss My Keto actually lives the keto lifestyle… And that means a heck of a lot to us. Kiss My Keto got their start years ago with one of the first keto MCT oil supplements in the market. Since then, they’ve grown to provide a full arsenal of keto-friendly supplements and food items. Kiss My Keto is clearly one of the good guys. Positives for Kiss My Keto: True ketogenic focused brand, solid 11.7 g BHB dose, well-priced. Potential Negatives: Must subscribe to receive maximum savings. Verdict: While Kiss My Keto doesn’t take the cake for #1, there is no denying that this brand represents quality and integrity. We’re fans of what Kiss My Keto has done, and what they have planned to do. KetoSports was one of the very first exogenous ketone makers, made famous most notably by a KetoCaNa mention by Tim Ferris. In reality, Keto Force was their first product, but the palatability of KetoCaNa definitely took the brand further. We’re big KetoSports fans, however, despite having the moving advantage they really haven’t helped the community at all through helpful content and additional innovation in the ketosphere. 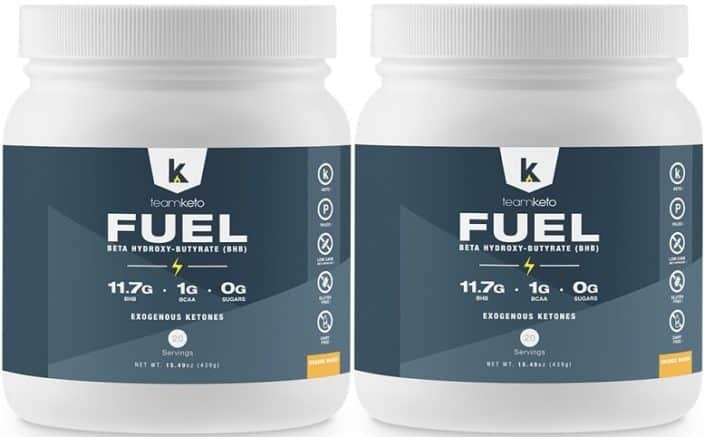 Positives for KetoSports Ketones: True 11.7 BHB dosage, One of the first brands. Potential Negatives: Pricey at almost $60 per 16 servings, lots of calcium. 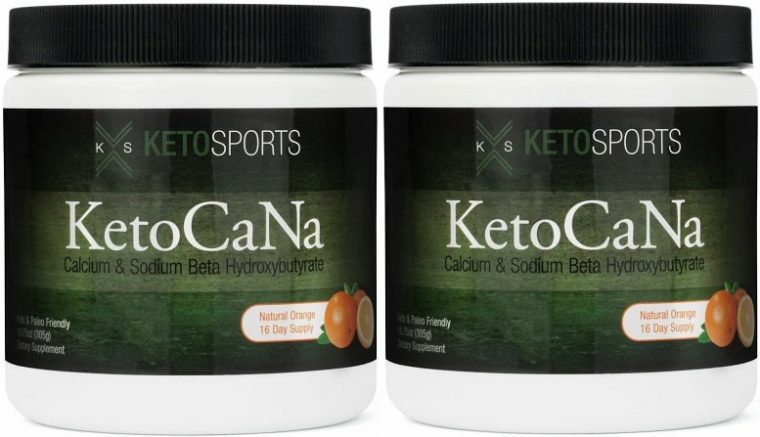 Verdict: KetoSports KetoCaNa BHB salt and Keto Force Exogenous ketone oil were early movers in the game that helped the ketogenic diet move forward. This makes them a reliable staple point, however, we like what newer brands have brought forward. Onnit Nutrition is the definition of a fan-favorite brand. Everything they touch, they put such an awesome twist on. Their exogenous ketone supplement Total Keto Daily is no different. 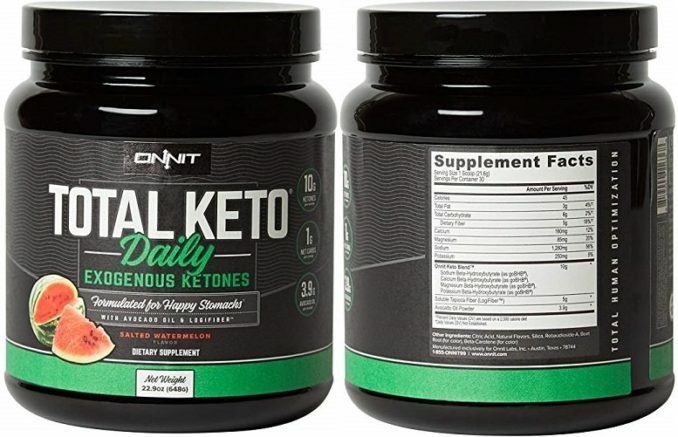 Total Keto Daily is designed for the same purpose as the other exogenous ketone supplements, but includes some fiber and avocado oil to help ease the stomach into your new diet. Positives for Total Keto Daily: Stomach friendly formula, 30 servings per container. Potential Negatives: High entry cost. Verdict: While Total Keto Daily isn’t cheap, it does provide 30 full servings while many other brands skimp as low as 12 to 17. This is an exogenous ketone supplement that cannot be written off, a clear contender. Positives for HVMN Ketone: Extremely effective. Potential Negatives: Worst taste ever, extremely over-priced. 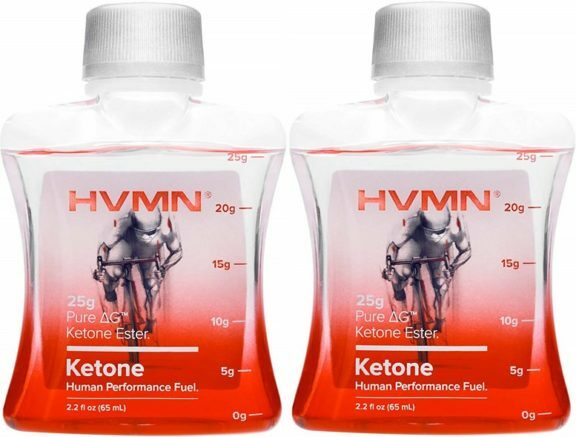 Verdict: There is no denying that HVMN Ketone is the most effective product. However, it is most effective in the same way that the Bugatti is the fastest street legal car… It just really doesn’t matter to us as the taste can’t be downed and the price can’t be bought. 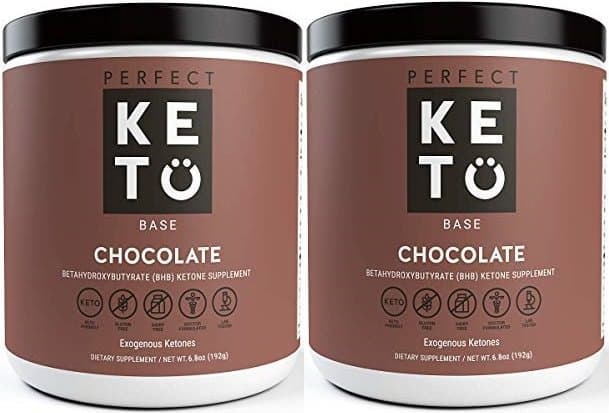 Perfect started at the bottom but has quickly risen to rank in as one of the most influential keto-diet brands of today. We absolutely love all of the helpful content, recipes, tips and advice provided on the Perfect Keto website. And their Exogenous Ketones Base isn’t too bad, either. Providing 11.4 grams of BHB salts per serving, the dose is legit. The only downside lies with its price! Positives for Perfect Keto Base: Solid dosage, multiple flavors, good brand rep. Potential Negatives: Priced high at $56.99 per 15 servings. Verdict: Perfect Keto is one of the good ones, and their Keto Base is a wise product to use. However, the formula is directly comparable to other brands that can beat the price-point and maintain quality + flavors. Like KetoSports, Pruvit is one of the original ketogenic supplement brands. Since their inception, they’ve made some notable innovations. For one, take a look at Keto OS NAT. This is essentially the BHB version of HVMN Ketone, except, WAY less expensive and naturally made through fermentation. By no means is it cheap… However, it is the more practical way to get faster-acting ketones. Positives for Keto OS NAT: Fast acting, naturally fermented. Potential Negatives: Expensive at 20 servings for $130, contains sugar alcohols. 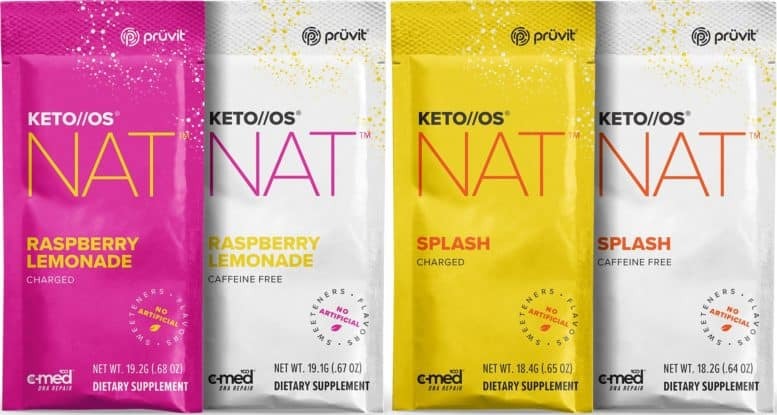 Verdict: Pruvit Keto OS NAT is the answer to HVMN Ketone’s problems. It hits fast and costs less than other ester-type exogenous ketone supplements. Though, we still prefer ketone salts for sheer affordability. At the end of our keto supplement experiment, our review staff and community came back to Team Keto supplements time and time again. Specific to this ranking, Team Keto FUEL proved to be an effective, reliable option for quick BHB infusion that makes more sense than the other options. Positives for Team Keto FUEL: Effectively dosed, priced, flavored. Potential Negatives: Only available on brand website. Verdict: Team Keto comes out on top for 3 reasons. First, Team Keto is a true keto brand living and sharing the ketogenic lifestyle. Second, the supplements are properly dosed, naturally sweetened and taste great. Third, Team Keto provides economy prices for real keto-expert formulated supplements. While trying and reviewing exogenous ketone supplements across the industry, we incessantly focused on two qualities. The product – Product quality, affordability and natural ingredients. Brand authenticity – Does the brand your buying from actually live the keto life, or just sell you supplements? We prefer brands that live the life, and actively provide support and learning resources to their beloved customers. We hope that this exogenous ketone supplement buying guide has been helpful for you. Please do your own due diligence, and share your experiences, concerns, and opinions below.